In 2017, Sport England funded Intelligent Health to deliver 'Beat the Street' in Wolverhampton. 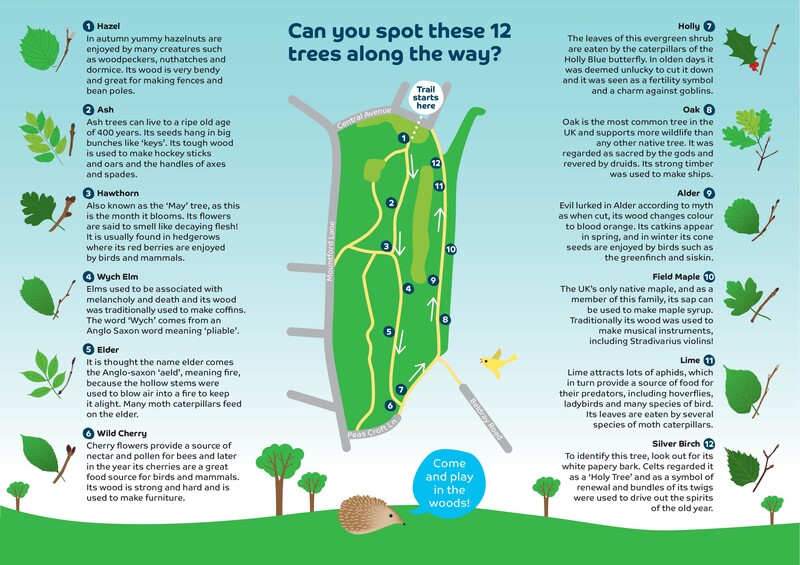 As Intelligent HEalth's Nature Delivery Partners, we were commissioned to design a new Tree Trail at Peascroft wood, created in collaboration with The Wildlife Trust for Birmingham, The Black Country and One You Wolverhampton. The trail aims to increase levels of physical activity of those least active and builds on the success of Intelligent Health’s gamified approach, ‘Beat the Street’, using the friendly graphic style and leveraging our social media channels, newsletters and school engagement. Digital analytics from ‘Beat the Street’ told us that one of the frequented areas was outside Peascroft Wood in the deprived area of Bilston - which made this urban green space an ideal location for a new Tree Trail. The Wildlife Trust agreed to promote the trail online, and through events and activities. Having launched the One You campaign, Wolverhampton’s Public Health team saw this as an opportunity to target the local target a community who suffer health inequalities. 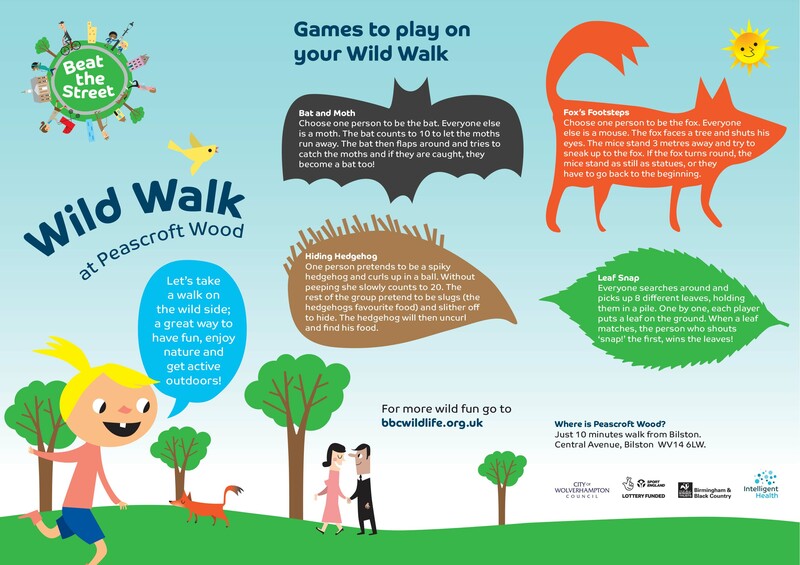 Peascroft woodland offers the local community the chance to reap the health and wellbeing benefits of urban green space and walk in an inspirational environment, for free, right on their doorstep. It is an ideal environment for families to engage their children in outdoor play and for local schools to walk children to the site and embed active nature-based learning into the curriculum.